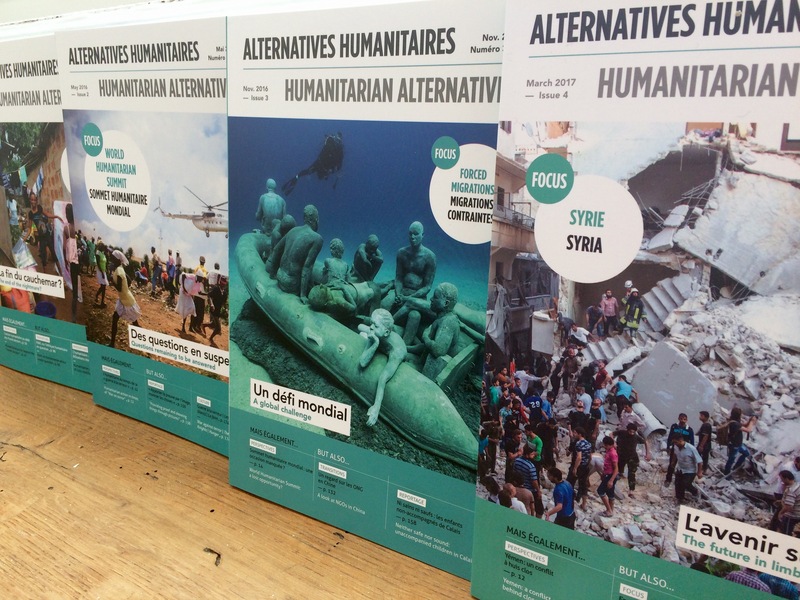 In the perspective of the publication of Humanitarian Alternatives sixth issue, in November 2017, the review is launching a call for papers on its Focus theme “Businesses and NGOs: alliance or defiance, threat or opportunity?” If you are an actor, a researcher or an observer of the international humanitarian community, and wish to submit a proposal for an article, please send us a summary and the outline of the paper (2 pages maximum) before July 17, 2017 to the following email: contact@alternatives-humanitaires.org. We will respond within 7 days following the receipt of your proposal. The final deadline for submitting the article will be September 25, 2017. Please observe that the article must be around 15 000 signs (approximately 2,400 words). Businesses and NGOs: alliance or defiance, threat or opportunity? For several years, the humanitarian ecosystem has been undergoing a transition. Alongside traditional actors, the United Nations and NGOs in particular, the private sector (ie companies and company foundations) made a notable entry into the humanitarian field, either in the form of field actions or funding. More broadly, new practices (direct remittance of cash to populations, assistance delivered via lucrative networks [credit cards, mobile phones, drones, etc.] and, beyond that, managerial logics inspired by the business world [certification, evaluation, human resources management, “professionalisation”]) undoubtedly transform the aid sector. Some see a risk of confusion when others commend a welcome extension of the actions in support of vulnerable populations, with NGOs now able to count on new partners with skills, technical means and funding that are beginning to cruelly lack. In any case, this transformation generates many discussions and oppositions, sometimes symptomatic of a clash of cultures between companies and NGOs. And we will certainly not get out of it by falling back, as is too often the case today, on an opposition. Isn’t there a middle way between disparaging and the defence of a territory that belongs to no one? The time has come for all of us to acknowledge this evolution. The aim of this issue is to present a global report on the situation and set the terms of a dialogue between companies and NGOs: is profit/not-for-profit still a relevant frontier? Should we impose limits on companies? What advocacy speech can NGOs carry? Which authority could be the guardian of a shared ethic? In the end, the question is how this addition of private initiatives (because NGOs are also private structures) can serve the general interest, that of suffering populations. This entry was posted in non classé on 4 July 2017 by Alternatives Humanitaires.